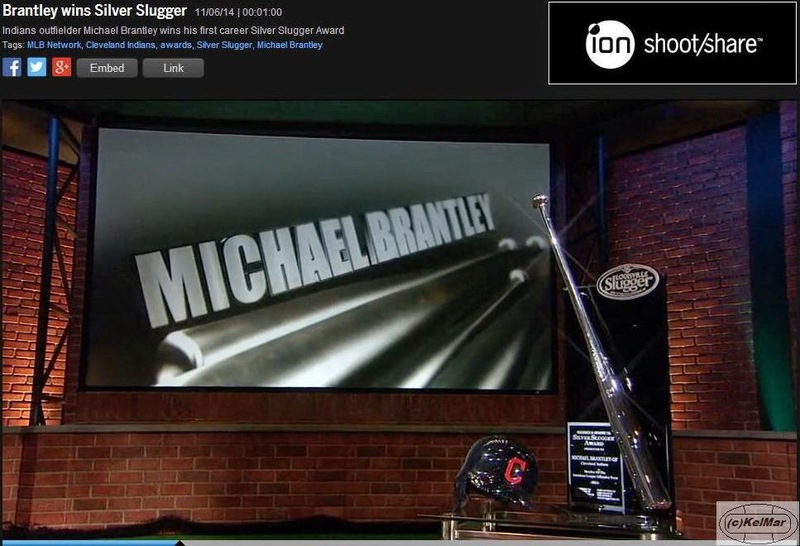 All Things Brantley, All Things Tribe: Brantley Wins Louisville Slugger's 2014 AL OF Silver Slugger Award! Brantley Wins Louisville Slugger's 2014 AL OF Silver Slugger Award! tonight, on November 6, it was revealed that for the very first time in his career, Michael Brantley won Louisville Slugger's 2014 American League Outfielder Silver Slugger Award! finally, Michael wins an award! and it is well deserved! he's the first Indians outfielder to win the award since Grady Sizemore in 2008. that's my boy! and can i just say, i love the commentary in the reveal video. "baby boy all grows up" and "Smooth Criminal" had me lol-ing, but my favorite part without a doubt was when they declared Michael the team leader over Swisher and Kipnis. hell yes! i've been saying that for 2 years. Louisville Slugger's Silver Slugger Award is Major League Baseball's top offensive honor. four members of each major league team's coaching staff vote for the players they believe to be the best offensively at each fielding position in both leagues, plus the DH in the AL and pitcher in the NL. however, these managers and coaches are not allowed to vote for players on their own team. several offensive statistics are taken into account when voting for this award, including a player's batting average, on-base percentage, and (clearly) slugging percentage. the value a player brings to his team offensively, as determined by managers and coaches, is also an important factor. created by Louisville Slugger bats manufacturer Hillerich & Bradsby, the Silver Slugger Award began in 1980. its purpose was to be an extension of the Silver Bat Award, a silver-plated bat given to the batting champions in the AL and NL by Louisville Slugger. the Silver Slugger Award is three feet long and features the winner's name engraved on it, as well as the other Silver Slugger winners from each position in their respective league. he had the lowest strikeout rate (8.3%) among AL outfielders, too. now let me clear up any confusion about the OF Silver Slugger Award winners. this honor is awarded to three outfielders and the position which they actually play has no bearing. it's possible that one or two OF positions is not represented annually. but this year, it just so happened that each outfielder chosen mainly played in different spots. while Michael did see time in both left and center, he was primarily a left fielder. Mike Trout always played in center field and, perfectly rounding out the outfield, Jose Bautista was mostly in right field this season. 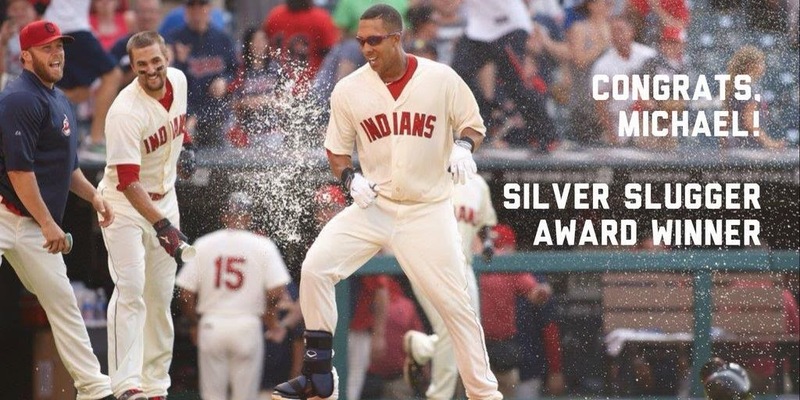 oh and because Yan Gomes also won a Silver Slugger, he and Michael are the first pair of Indians to win this award since Roberto Alomar and Manny Ramirez both won it in 2000. other Indians who have won Silver Slugger Awards in the last 15 years are Juan Gonzalez in 2001, Victor Martinez in 2004, and most recently until today, Asdrubal Cabrera in 2011.